The Broke and the Bookish wanted to revisit childhood or teen years with books from our youth. Books I’d love to revisit or reread as an adult. Well, I started out with the obvious, To Kill a Mockingbird, The Giver, The Little House books but I noticed that one author popped up from my childhood and my tween/teen years…Judy Blume! I don’t think I need to link up the titles or express what each one meant or taught me. From freckle potions, dealing with annoying siblings, body image, friendship, first loves, puberty and wondering about the mysteries of life, Judy Blume was there through it all. I wonder how I would feel about the stories now as an adult. These vintage and tattered cover images were found on Goodreads and I was overcome with nostalgia for my childhood days as a reader. Which books would you like to revisit from your childhood? 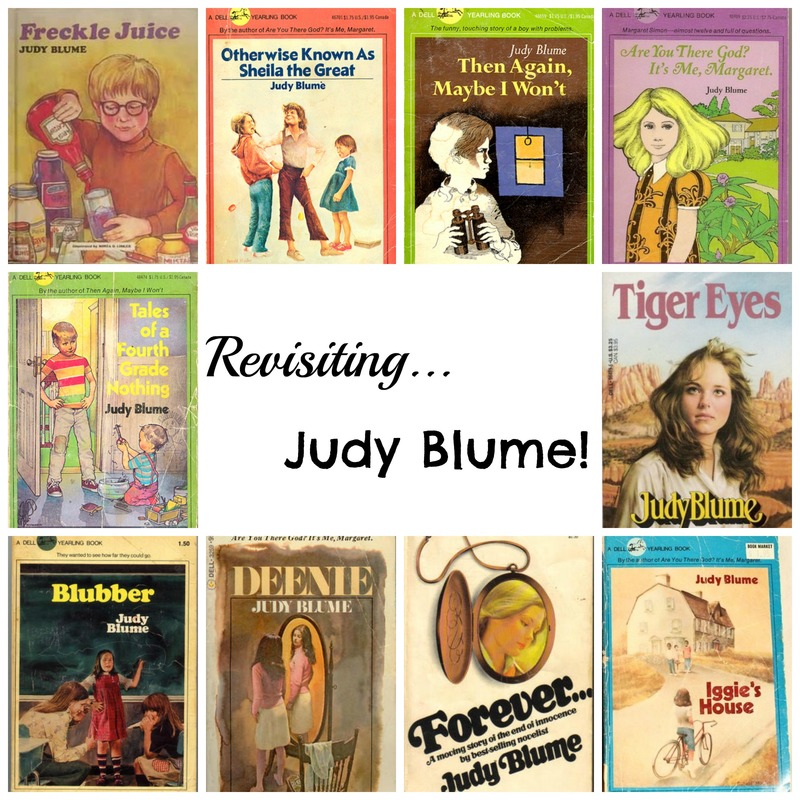 Tags: Judy Blume, revisiting childhood books, top ten tuesday. Bookmark the permalink.